Exclusive villa in Cannes / Le Cannet for sale. Ideally located, the estate of 3000 m2 with 700 m2 villa on the hills of Cannes, has panoramic views of the sea and surrounding countryside. This luxurious villa of 700 m2 consists of 3 floors. Spacious living room with access to the terrace, 6 comfortable bedrooms, each with bathroom. 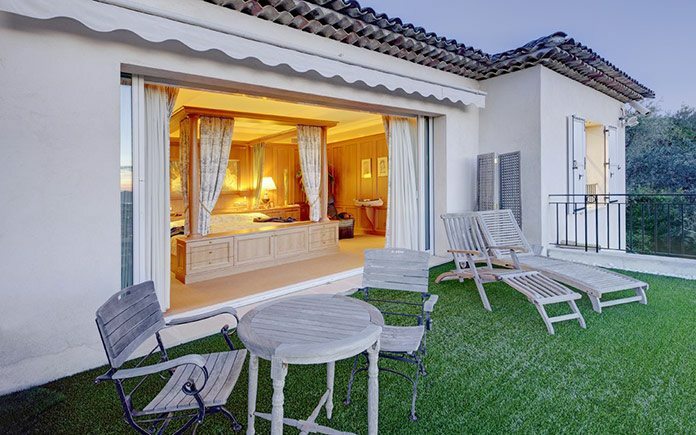 All rooms have a panoramic view of the sea, Cannes and the Esterel Mountains! Beautiful plot of land of 3000 m2 with swimming pool and pool house with kitchen, lounge, home theater and billiard room. Separate apartment for staff, 3 car garage. its address can be disclosed only to the buyer; This exclusive property is very hard to find at the hills of Le Cannet. Due to a private driveway, discretion is guaranteed. Plot: 3,000 sqm Unique views over the sea, Cannes, Le Cannet and Esterel. Living area: 700 square meters; Neighbors are famous entrepreneurs and families. Year: 1992; free of expenses, no need for renovation.